Ranch may not be the most Mexican of dressings, but it sure is delicious. Back in the days when I was forced to eat salad at dinner, and I couldn’t leave the table until I did, I doused that lettuce in ranch. And nothing else. I stopped eating ranch when I realized my body wasn’t going to stay stick thin forever. Making the switch to raspberry vinaigrette is one of the best decisions I have ever made. We all know how much I love that drink…I mean…dressing. I talk about it enough, huh? Like here, here and here, just to name a few. I am certain Raspberry Vinaigrette Enchiladas would be just awful, so I made the switch back to ranch for the sake of my taste buds. Even if it means I have to run an extra five minutes tomorrow. And fat free ranch cuts the calories in half, so I really don’t need to justify this anymore do I? 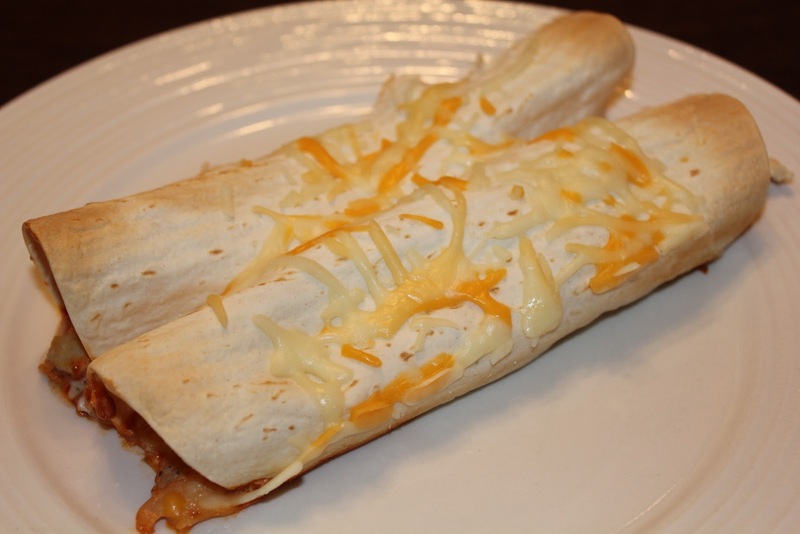 I was worried these enchiladas might be too plain, and from the outside they do look that way. But the combination of flavors makes magic in your mouth. I only wish I would have added bacon. Yum! Now that would have been a party. This was my first enchilada experience, but not my last! They were much easier than I expected and definitely easy enough for a weeknight meal. 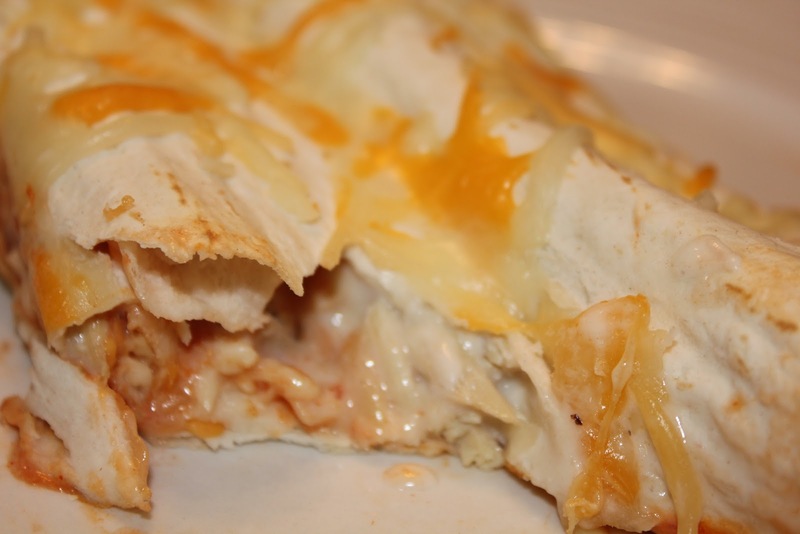 I have about ten other enchilada recipes bookmarked and they are about to become my best friends. 1. Heat oven to 375 degrees. Spray 9-inch square pan with non-stick spray and set aside. 2. Prepare sauce by mixing 1/4 cup of each of the sour cream and ranch in a small bowl. In a larger bowl, mix the other 1/4 cup of sour cream and ranch. 3. Shred the cooked chicken and add to larger bowl. Stir to combine with the ranch sauce. 4. 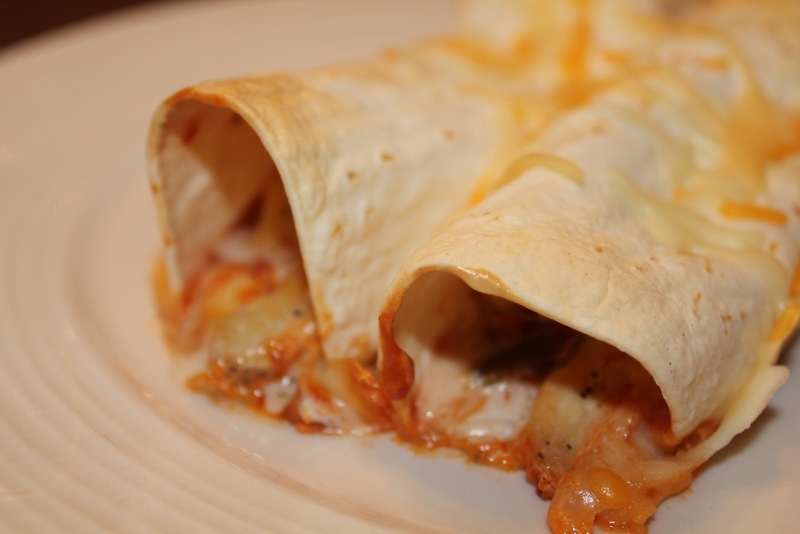 Taking one tortilla at a time, spread about 1 tablespoon of the ranch sauce onto the tortilla. Scoop a large spoonful of the chicken mixture into tortilla. Top with about 1-2 tablespoons of salsa and cheese. 5. Roll tortilla and lay seam-side down in pan. Repeat until all tortillas and chicken mixture has been used. 6. Bake 18-20 minutes, or until tortillas are golden brown.